Max Gear is recommended for use in truck and automotive front or rear differentials, manual transmissions and lower gear units of marine engines that specify use of an API GL-5 or GL-4 fluid. It is non-corrosive to soft yellow metals (brass, bronze, copper, etc.) and synchronizer safe. Specially designed to extend gear and bearing life, Max Gear provides superior corrosion protection over competing conventional and synthetic gear oils. Royal Purple engineered this ultra-tough, high performance automotive hypoid gear oil to provide maximum protection to heavily loaded gears while maximizing power throughout the drive train. 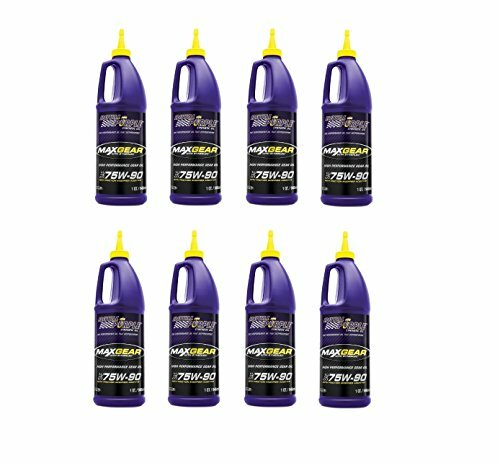 Max Gear outperforms ordinary gear oils by combining the highest quality synthetic oils with Royal Purple's proprietary Synerlec® additive technology. Royal Purple engineered this ultra-tough, high performance automotive hypoid gear oil to provide maximum protection to heavily loaded gears while maximizing power throughout the drive train. Max Gear outperforms ordinary gear oils by combining the highest quality synthetic oils with Royal Purple's proprietary Synerlec® additive technology. Max Gear makes gears run smoother, quieter, cooler and longer without overhauls. A direct reduction of drag in the drive train has huge advantage for trucks and other 4-wheel drive vehicles: better gas mileage. Max Gear is formulated with a friction modifier additive - no additional additives are necessary.